Lower speeds and traffic volumes. 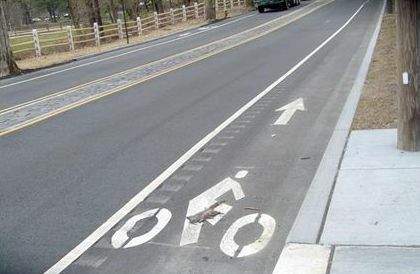 Provide where inadequate width exists for bike lane or shoulder. 4.2–4.5 meters (m) (14–15 feet (ft)). Not greater than 4.5 m (15 ft)—cars use as two lanes. Indicate possible presence of bicyclists to motorists. 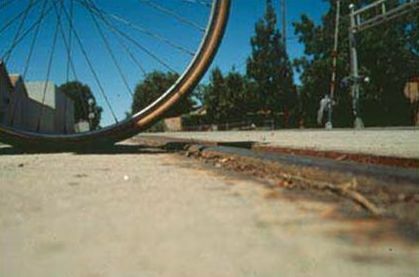 Improve bicyclist positioning near parked vehicles and other obstacles. Many other benefits besides bicycling. Min. 1.2 m (4 ft). – Bicyclist and vehicle demand. – Adjusted traffic control devices. – Removed or restricted parking. Provided to alert motorists, but hazardous to bicyclists. Min. 4 ft of usable shoulder width required. Periodic gaps may be provided. – Lead to confusion about right-of-way. 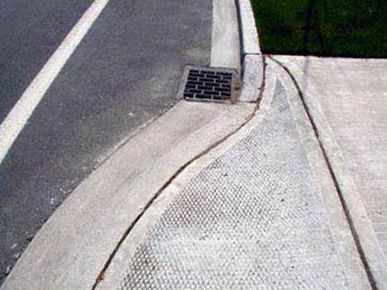 Raised concrete curbs (or other barriers) separating motor vehicles from bicycles. 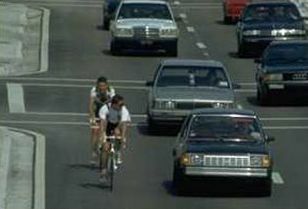 There are many ways to allow motor vehicles and bicycles to share the same roadway. 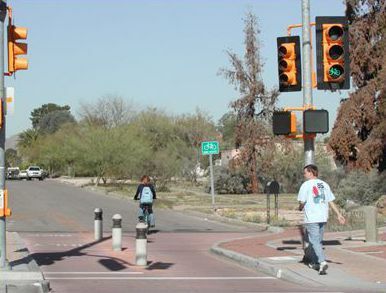 Use of specific design elements creates a shared roadway that is bicycle–friendly.